The recent events at the elementary school in Connecticut have thrust the idea of loss into the spotlight. Whether it is an infant child or a grandparent, dealing with loss is always a significant challenge. When you experience the loss of a child at such a young age, the loss can be even more devastating, because not only are you losing someone important in your life – you're also losing what you expected your future to be. Coping with significant change is a challenge, and one that causes considerable anxiety. But it's important for you to learn how to cope with that anxiety and continue to live as happy a life as possible. It's what you deserve, and what your lost child would have wanted for you. 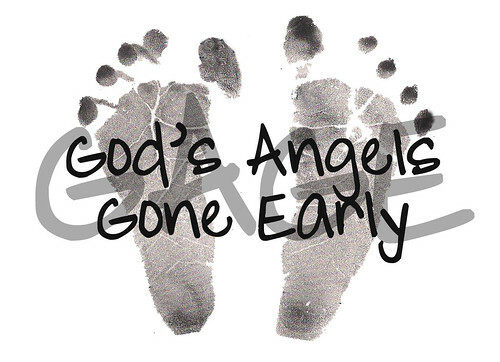 One of the hardest parts of losing a child is the idea that you didn't have enough time with them. Even though you know you'll never forget them, there is also some fear that you will – a fear that you lost someone that was going to impact your life, and now won't. It's never a good idea to focus too much on the past when struggling with anxiety, but you don't want to forget the past either. So give yourself a project to complete to help make sure that your lost child is given a memory. Whether it's a scrap book, a collection of stories, a collection of poems, or a list of thoughts, write down as many positive and loving things as you can to give your mind that outlet you need to prove to yourself that your child already had a tremendous impact. The next step is often harder, but you also need to start planning a future. As we mentioned earlier, one of the hardest things about the loss of a child is that you lose your expected future with it. As hard as it may be, you need to put yourself in a mindset that is ready to move on. Figure out your next goals. Plan for the future. Give yourself something you're looking towards so that you're not always looking back. Expect that this type of activity will be heartbreaking. It's so hard to think about living a new life, but forcing yourself to not just focus on the tragedy that's happened is still an important part of moving forward. Make sure you're not expecting a linear recovery. One of the issues that throws people back into their stress is this belief that once they'll be gradually better over time. But that's not how it works. Some days will be a struggle, others will be easier. Realistic expectations are the only way to make sure that you don't start to assume negative thoughts about yourself as a result of your emotions. Finally, the most important tool for coping with loss is time. You need to make sure that you're not lost in your own thoughts, since unfortunately your thoughts are often the enemy of coping. Healthy, enjoyable activities may feel like you're forcing yourself to move on more quickly, but they'll take you out of your mind and are an effective way to let time pass without making your anxiety worse. You can't simply stop anxiety whenever you want. But you can take steps to control how much it affects you. Therapy and effective help options are the most effective strategies, but the above ideas will also help you make sure you can control the way your loss affects you both now and in the future. You deserve it to yourself to move forward. About the Author: Ryan Rivera has seen the way that loss affects many couples. He writes about ways to stop anxiety at Calm Clinic.